The name Barnevelders comes from the District of Barneveld in Holland, they were developed around the same time as the Welsummer breed. They were known as a dark egg laying machine! Sadly, the dark eggs are not as prevalent as they once were as breeding for other traits became the priority. 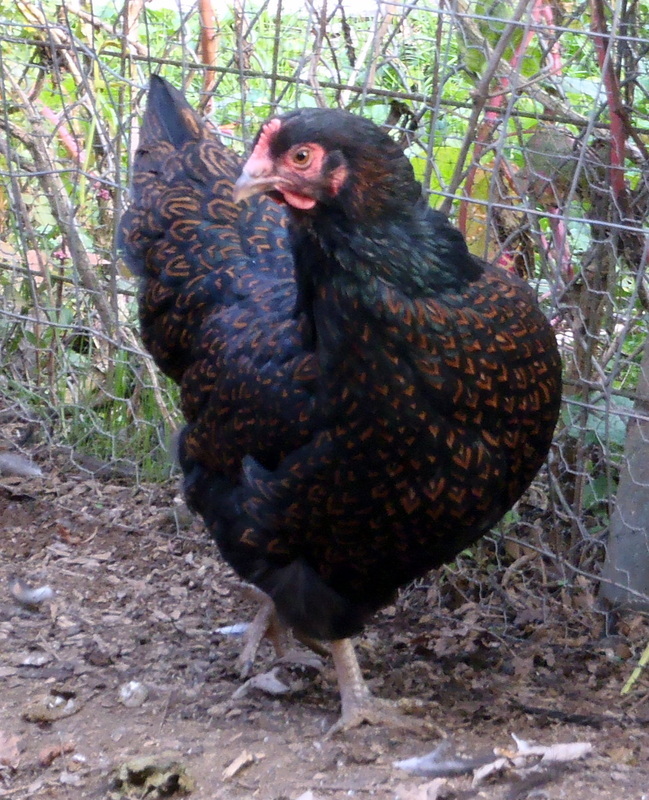 The hens are double laced, and the black plumage on the roosters and hens is iridescent. Most breeders describe this as a hardy breed, but I have to step in and say that is not the case here in WV. While they were bred in a cold wet climate initially, I think some of that tolerance was bred out along with the egg color. Both myself and other breeders in this area find them to be rather delicate. 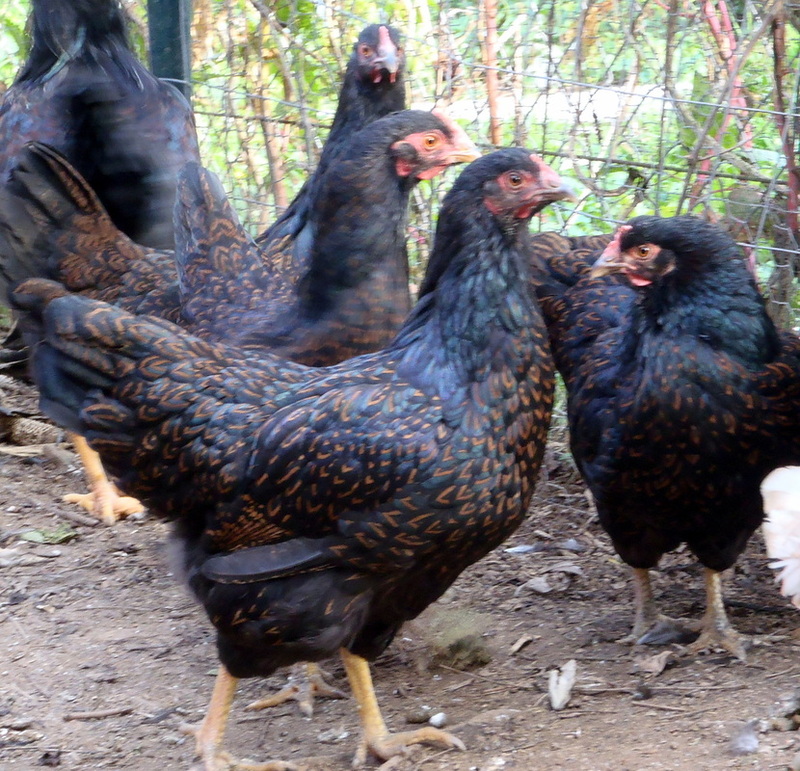 I was able to get a new line of birds in 2013 from Mountain Ridge Poultry and this line seemed to be much hardier. I finally got great birds and then my addiction began to cause me problems again! I found a new breed I wanted to raise, Sulmtalers. In order to make room for them, I sold my Barnevelders. If you are interested in getting Barnevelders, please contact my friends using the button link. As with the Welsummers, I started out with hatchery birds. I honestly could tell the difference. They all pretty to me. Then, one again, I started looking at pictures, and boy is there a difference. 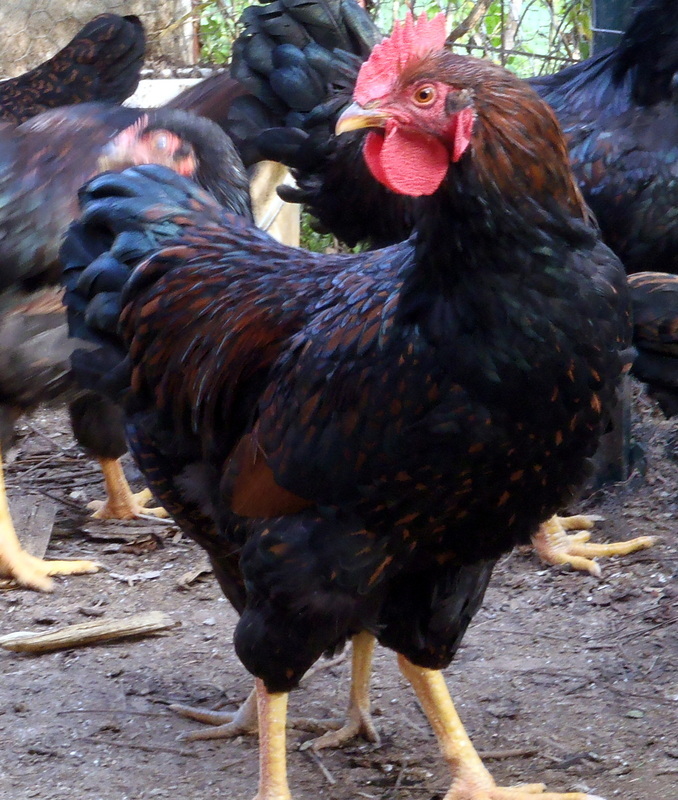 Ideally, when you look at a flock, you should be able to tell the hens apart based on their feathering. They should all look pretty much the same. With my hatchery birds, I could tell which was which by the quality of their lacing. Notice the bird on the left has "jagged" v's for lacing. She was by far the best of the hatchery birds I had in the beginning. The hens on the right, my current flock, have much crisper lacing, especially into the tail area.